Eating disorders are estimated to affect approximately 9% of the Australian population. The mortality rate for people with eating disorders is the highest of all psychiatric illnesses and over 12 times that seen in people without eating disorders. 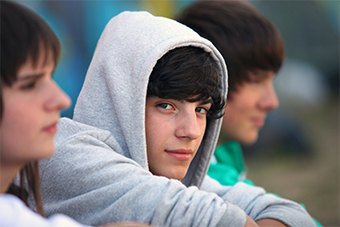 The Butterfly Intensive Outpatient Program (IOP) for eating disorders has SNPHN-funded places for people aged 14–25 needing treatment in a community setting – whether before or after a hospital stay or for people who need support in addition to general treatment (such as weekly psychology). If your patient is admitted, the program psychologists will work closely with you and develop and individual treatment program for the patient. Families and carers are also involved with regular family groups forming part of the program. Improving social and relationship dynamics. To find out more about the program or organise a patient assessment, visit the Butterfly Foundation website or call the treatment team on 8456 3915. For more information on Eating Disorders, or to access referral information for the Butterfly Foundation, visit Sydney North HealthPathways. If you are not already using SNHP, you can request access by emailing the Team at healthpathways@snhn.org.au.